This NEW product from McMurdo is sure to please all Trampers and land based users. It is so small and so light that it can easily be carried without noticing the weight (152gms). Even so, nothing has been skimped - a quick look at the specifications shows what a good unit this is. There is no compromise. 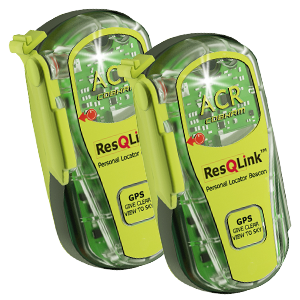 Once activated, the distress beacon will obtain a GPS position, send out a signal for help, and continue to transmit for at least 24 hours, at a powerful 5 watt output, ensuring that your call for help gets through whatever the conditions. 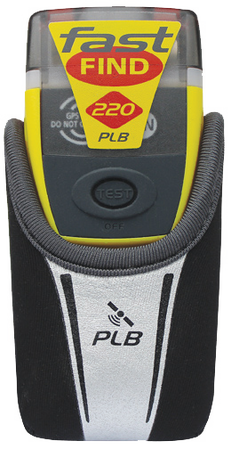 The pocket sized beacon transmits at the press of a button, to alert search and rescue services to your plight. A built in strobe can be activated to automatically flash SOS to any response activity. The Fast Find 220 weighs just 5.36 ozs (152gms) and measures D 34mm x W 47mm x L 106mm. It is extremely sturdy and designed to cope with temperatures as low as -20. The Fast Find's battery is designed to run for a minimum of 24 hours at the end of 5 years. Not ready to buy your own rescue beacon?